March 13, 2019– Boeing continues to have full confidence in the safety of the 737 MAX. However, after consultation with the U.S. Federal Aviation Administration (FAA), the U.S. National Transportation Safety Board (NTSB), and aviation authorities and its customers around the world, Boeing has determined — out of an abundance of caution and in order to reassure the flying public of the aircraft’s safety — to recommend to the FAA the temporary suspension of operations of the entire global fleet of 371 737 MAX aircraft. One thing IFEC shows are really good for – surprises, especially in technology. Case in point, the recent APEX EXPO in Long Beach. 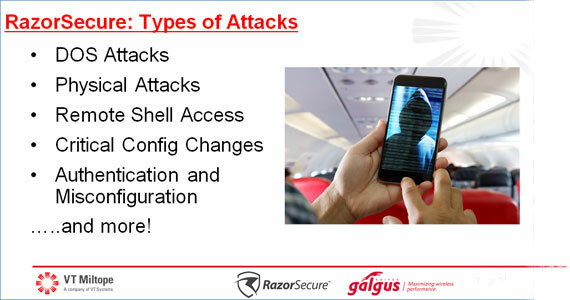 The surprise was router security and the folks at VT Miltope certainly caught us unaware – they were well along in the developmental relationship with a cybersecurity expert (RazorSecure) and have a clear view of the issues with hacking and the potential types of attacks that routers might face on flights that provide inflight internet connectivity. 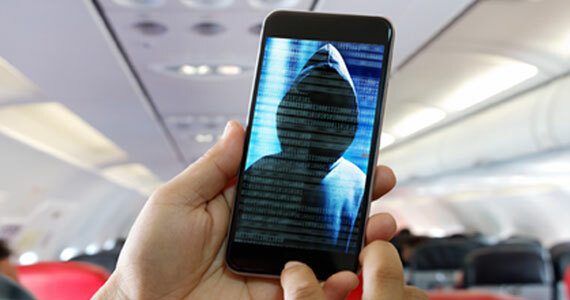 While IFExpress has been following the deluge of attacks on the ground, we have been watching Wi-Fi capable planes for over a year now and it is a fact that the folks who make routers for IFEC are too. In fact, cybersecurity is becoming a “big deal” for aviation. As proof of this conjecture, check out this Cybersat17 Conference coming in November – Cyber Sat Summit, but this year is just a beginning of a bigger focus on cabin data technology and cabin hacking security efforts. Getting back to the APEX show, the IFExpress graphic rectangle is a portion of an actual page from VT Miltope’s “Cabin Wireless Network: The Next Frontier” presentation and it opened our eyes! The VT Miltope team has been on track with understanding and protecting IFEC wireless hacking issues and is in the process of working with a partner – RazorSecure Software who will assist in the development of more cabin hacking issues. Gogo has made Fortune’s “Future 50” list of companies best positioned for strong future growth. Fortune worked together with the Boston Consulting Group to create the list. To identify the Future 50, Boston Consulting Group examined 2,300 publicly traded U.S. companies and reviewed 15 years of financial results through year-end 2016. They divided the companies into two different groups—those above $20 billion in market value at the time of the screening and those below. Gogo announced that it has been selected by LATAM Airlines Brazil to introduce inflight connectivity using Gogo’s 2Ku technology to 100 of its A320 aircraft, which operate flights in Brazil as well as to other countries in Latin America. Gogo’s inflight connectivity service will begin in the first half of 2018 and the roll-out of the technology is expected to be completed in the first half of 2019. “We have selected the most modern and innovative in-flight internet technology available in order to offer an unrivaled and diverse onboard experience to our passengers in Brazil. The new service will complement LATAM Entertainment, our wireless entertainment system, and will provide our passengers with the freedom to choose how they want to enjoy their journeys,” said Jerome Cadier, CEO of LATAM Airlines Brazil. Gogo’s 2Ku technology is installed on more than 350 aircraft today and delivers proven performance of more than 15 Mbps to each passenger device, covering more than 98 percent of all flight hours around the world with 98 percent system availability. With an open architecture that leverages current and future Ku satellites, 2Ku offers unrivaled adaptability to keep airlines connected now and in the future. The equipment installed on LATAM’s aircraft will include Gogo’s new, performance boosting modem. The proprietary features of the new modem significantly increase throughput and reliability to and from the aircraft. Boeing just signed a big deal with Singapore Airlines for 20 777-9s and 19 787-10s and 6 options of each…in the Oval Office. The deal is worth $13.8 B at list prices. Also, it looks like the all Airbus Hong Kong Airlines is seeking to speed up growth to take on Cathay Pacific and will most likely get some Boeing 787’s. Last week, Reuters also predicted China Southern would buy 38 more Boeing planes worth $5.6 Billion at retail prices. The company is investigating plans to double the B767 Everett production and apparently have an order which depends on a certain production rate of the planes. And, we understand that Boeing is looking at passenger version of the aircraft. The company has declined comment on the the airline but United Continental has been mentioned in the press. They have 51 B767’s that are quite old and some 77 B757’s that are around 20 years old. On another front, There have also been rumors of a sale of 100 Boeing 767 freighters to Amazon’s growing Prime Air cargo fleet. The first A330neo took off August 19 at Blagnac in Toulouse, France at 09.57 hrs local time, for its maiden flight taking place over south-western France. The aircraft, MSN1795, is a A330-900 and the first of three certification flight-test aircraft to fly, powered by the latest technology Rolls-Royce Trent 7000 turbofans. The A330neo’s certification development program itself will last around 1,400 flight-test hours. This will comprise 1,100 flight hours for the A330-900 campaign – to achieve its respective EASA and FAA Type Certification around the middle of 2018; plus 300 flight hours for A330-800 version – which will be certified in 2019. Overall, the full A330neo Family flight-test campaign will be performed by three certification flight-test aircraft, plus the first production aircraft (the latter to validate the Airspace cabin prior to EIS). Launched in July 2014, the latest generation of Airbus’ widebody family, the A330neo builds on the A330’s proven economics, versatility and reliability while reducing fuel consumption by a further 14 per cent per seat. The NEO’s two versions – the A330-800 and A330-900 – will accommodate 257 and 287 passengers respectively in a three-class seating layout, are powered by the latest-generation Rolls-Royce Trent 7000 engines, accommodate up to 10 more seats, offer new “Airspace” cabin amenities, and feature a new larger span wing with Sharklet wingtip devices. The air transport industry has cybersecurity as a top priority with 95% of airlines and 96% of airports investing resources into major cybersecurity programs or pilots over the next three years. Yet research released from global IT provider SITA shows there is still room for improvement with only one third of boards at airlines, and a fifth at airports, having fully integrated cybersecurity into their business plans. Speaking today at a gathering of European air transport industry leaders, Barbara Dalibard, CEO of SITA, highlighted that while cybersecurity is the number one priority for almost all airlines and airports, it demands more attention and must be higher on industry board agendas. SITA has conducted in depth research into the level of cybersecurity maturity at airlines and airports in the fight against this global threat. The results show that there are very high levels of security awareness among staff at airlines (82%) and airports (85%). This year, beyond cybersecurity protection, the industry is focusing on threat detection and response management. Already CIOs at 69% of airlines and 47% of airports are implementing security events and correlation monitoring, while security incident response management is being put in place at 77% of airlines and 60% airports. Having identified the challenge, SITA earlier this year partnered with Airbus to address the air transport industry’s distinct concerns and created a unique CyberSecurity Aviation Security Operations Center (SOC). It acts like a cyber control tower with an integrated combination of processes, people and technology to detect, analyze, respond to, and report on cybersecurity incidents. The SOC is part of a broader portfolio of SITA products and services that help airlines and airports identify threats and protect against, detect and respond to cyber attacks. SITA also operates the Community Cyber Threat Center, a security information sharing service run on behalf of SITA’s more than 400 air transport industry members. It enables actionable information on cyber threats to be shared in a timely manner among key industry stakeholders. These initiatives are part of SITA’s commitment to lead the air transport community fight against cyber threats and to improve the integration of cybersecurity into business plans at board level at airlines and airports. SITA’s 2017 Air Transport IT Trends Insights are available here. Over the coming months, further insight into the results will be made available. Inmarsat is pleased to announce it has recently joined the Aviation Information Sharing and Analysis Center (A-ISAC), the trusted international membership association for sharing cybersecurity information targeted at the aviation sector. As part of the A-ISAC, Inmarsat joins a global contingent of aviation industry companies working collaboratively to develop and share timely and actionable information related to best practices, protective measures, threats and vulnerabilities. A-ISAC members are located on five continents and are leaders in the airline, airport, platform, satellite, and equipment manufacturing segments of the industry. The US government is getting very concerned about the potential misidentification of bad devices in laptops and US passengers and planes might come under a security ban for the larger devices in the aircraft baggage holds…and in some cases, in the cabin. The US FAA is suggesting a worldwide ban on laptops in checked bags for obvious reasons. The issue in the checked bags is related to lithium-ion batteries and related potential issues with fire and explosions. There is also concern that nothing larger than an iPhone will be permitted in the cabin. If the cabin becomes out of bounds for laptops, you had better get a reliable source of small, secure data storage and a lot of carry-on print matter. Perhaps iPads that have more capability will become common, but we think they have a way to go to get laptop-like usage. We will see! Lastly, we have a freebie for you! While looking for a recap of the the Delta-CS100-Boeing-Airbus story, we came across Jason Cottrell’s excellent weekly airline publication (Airline Weekly) and his Fleet Sheet story on page 3 is a great summary. We asked for Jason’s permission to share it with you, so here it is:‎ airlineweekly.com/102317.pdf We also suggest you consider a subscription if you are airline data oriented. You can find out how by contacting him at jcottrell@airlineweekly.com – a really great airline publication. East Aurora, NY | July 11, 2017– Astronics Corporation (NASDAQ: ATRO), through its wholly owned subsidiary Astronics Max-Viz, is collaborating with the Federal Aviation Administration (FAA) in a research project to study operational concepts for the use of Enhanced Flight Vision Systems (EFVS) in helicopters. The study is designed to develop a basis for possible application of enhanced vision systems in helicopters flying into heliports. While EFVS rules exist for approaches to runways at airports, comparable regulations for EFVS do not exist for helicopters flying to onshore or offshore helipads at heliports. “Astronics is very pleased to provide both a Max-Viz 1500 and a Max-Viz 2300 Enhanced Vision System (EVS) to the FAA for integration onto its Sikorsky S-76 medium-size commercial utility helicopter test aircraft for this study,” said Astronics Max-Viz’s Dale Farr, Manager of Sales and Business Development. “The Astronics Max-Viz EVS sensors will be used in flight tests and data acquisition for EVS and EFVS implementation,” he added. Flight-testing is being conducted by the FAA’s William J. Hughes Technical Center, at the Atlantic City International Airport in New Jersey. The center serves as the national scientific test base for the FAA. Programs include research and development, test and evaluation, and verification and validation in air traffic control, communications, navigation, airports, aircraft safety, and security. The Max-Viz 1500 sensor will provide baseline testing, which will be followed with the installation of the Max-Viz 2300 for observation of LED lighting on the blended high resolution long wave infrared image. Flights are planned to occur in various weather and visibility conditions, day, night and twilight and via alternative approaches. Results of the study will be used by the FAA to evaluate the effectiveness of EFVS technology for helicopter flight safety and operational effectiveness. Astronics’ top of the line EVS, the Max-Viz 2300, provides pilots with an unprecedented level of situational awareness and safety by enabling them to see more precisely during day or night in adverse weather conditions, such as haze, smoke, smog and light fog, even in the darkest night. At night, pilots can also see and avoid clouds for a smoother ride. Upon landing, pilots using the Max-Viz 2300 can view the runway and terrain clearly to avoid wildlife and unlit obstructions. 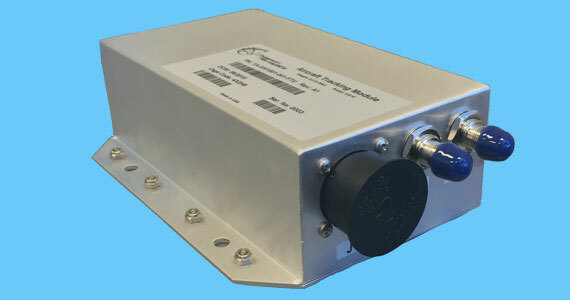 This advanced EVS is a lightweight, affordable, multi-spectral imager that blends the separate signal from a long wave infrared sensor with a visible light sensor to present pilots with a single, sharp, real-time image. The blended thermal image is black and white, but a separate color HD-compatible signal from the visible light camera is available for routing to a cabin entertainment system or cockpit for a complete color display. The Max-Viz 2300 system is certified to Radio Technical Commission for Aeronautics (RTCA) DO-160G standards, which is the industry standard for the environmental testing of avionics hardware and is recognized by the International Organization for Standardization (ISO) as the de facto international standard ISO-7137. 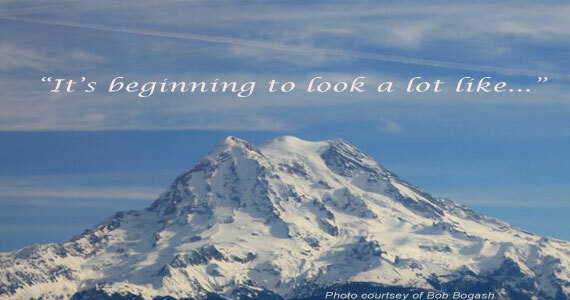 Renton, WA | March 9, 2017– Boeing (NYSE: BA) announced today that the U.S. Federal Aviation Administration (FAA) has certified the 737 MAX 8 airplane for commercial service. Boeing is now in the final stages of preparing for the first 737 MAX 8 delivery to customers in the coming months. Lyngby, Denmark | December 5, 2016– Leading manufacturer of satellite communications solutions Cobham SATCOM has announced that its AVIATOR 350D system has been selected by Hawaiian Airlines (HAL) for installation on its new Airbus A321neo (new engine option) fleet. 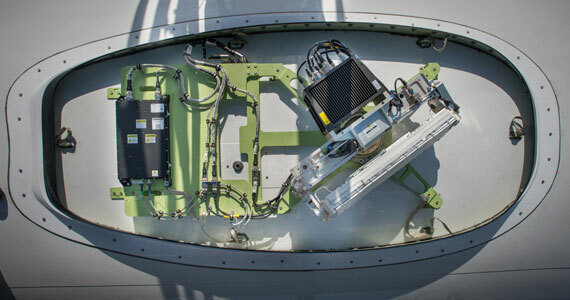 The Cobham system, supporting Inmarsat’s IP-based SwiftBroadband-Safety (SB-S) service, will deliver satellite connectivity to the cockpit for all voice and data applications on Hawaiian Airlines’ new single aisle aircraft and will connect to Cobham HGA-7001 High Gain antennas that are being line fit by Airbus. The new agreement expands the current partnership between Hawaiian Airlines, Cobham, Rockwell Collins and Inmarsat, established during on-going in-flight evaluations of Cobham’s purpose-built AVIATOR solution and Inmarsat SB-S on-board Hawaiian Airlines’ Boeing 767-300 aircraft, as part of a Federal Aviation Administration (FAA) supervised technology evaluation. Brian Anderson, Air Transport Sales Manager, Americas, Cobham SATCOM, said: “We are delighted to announce this selection by Hawaiian Airlines, which is the latest demonstration of how we are continuing to lead the way in the development of the next generation IP-based safety service SATCOM systems. Both Cobham SATCOM’s next-generation AVIATOR S Series and SB-S have received a high level of industry support, including the recent selection by Airbus of the Cobham and Inmarsat solutions for its A320 and A330 aircraft families and the successful ongoing evaluations with Hawaiian Airlines. 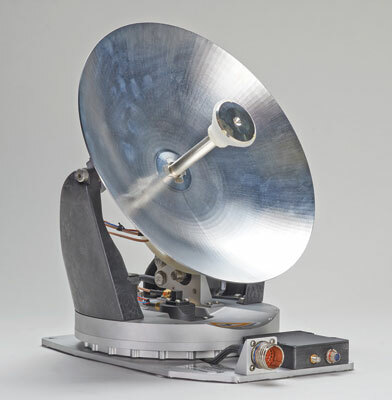 Rockwell Collins provides the managed service between the Inmarsat ground stations that enable the aircraft to seamlessly communicate with HAL’s host systems, ground crews and regulatory agencies anywhere in the world without interruption. SwiftBroadband-Safety (SB-S) is Inmarsat’s next generation communications platform offering global, high-speed, secure IP connectivity for the flight deck. It represents a paradigm shift in aviation safety services, delivering “always on, always secure” applications such as flight data streaming (“Black Box in the Cloud”) and real-time Electronic Flight Bag (EFB) applications, including networked graphical weather. California | November 2, 2016– China Eastern is one of the largest users of Thales/ACSS products in China. The Thales FMS system is the highest selling Flight Management System with over 90% market share in China. The T³CAS solution includes the Traffic Alert and Collision Avoidance System (TCAS) with Class A Terrain Awareness and Warning System (TAWS), and Mode S Transponder updated for DO-260B with full ADS-B IN/OUT capability. I recently had a meeting at the Seattle Museum of Flight on Boeing Field. While my visit was business… I left the meeting… and lost my sense of time and history – because once you see an old aircraft that fought in a war, or provided the transportation for a historical event, or was the first of it’s kind, you just get lost… lost in time, and possibly lost in space. Interestingly, you become part of the event that the person, plane or spacecraft was famous for… or you become immersed in the art background and signage describing the history and achievement of the craft. One visitor told us that he and his kids were fascinated by the description and experiences of the museum’s individual plane tour guides, who in many cases had flown that aircraft. It is also easy to get wrapped-up in the in mood lighting surrounding the planes in the halls, especially in the periods like those in the WW1 Hall and WW2 Halls. While it has been a long time, as a child, I would have given anything to see what I saw last week at the Museum of Flight. One suggestion, however, don’t let your children say the same thing. OK, if you want a fast tour of the Museum here it goes: Museum Galleries, Airpark, Great Gallery, Lear Gallery, Personal Courage Wing, Red Barn, & Space Gallery. That’s 7 galleries, many halls, 29 exhibits + a museum store, 140 real aircraft, 12 spacecraft, pre-1900s to 2010s types, from 73 manufacturers… and some 40 of 140 shown planes in the air and on the ground in the Great Gallery. Founded in 1965, the Museum of flight has been growing since it’s inception, but we think the real hero was T. Wilson… he made “The” museum building on Boeing Field happen. 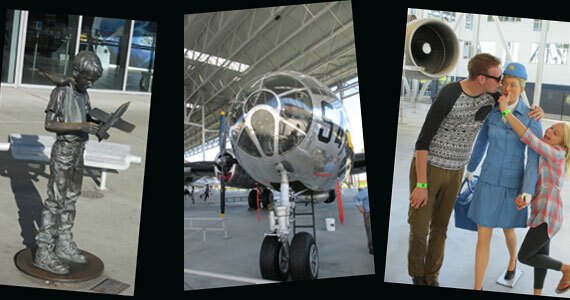 “Museum of Flight is devoted to the preservation and sharing of aviation and aerospace history and technology. The Pavilion (across the street form the main Museum building) is incredibly large and hosts an many big planes in a covered outdoor building. One writer said it is larger than two football fields! The new “hanger” effectively doubles the museum foot print, in fact it adds 3 acres of aviation history floor space! It is home for some 19 iconic planes like the world’s first Boeing 747 Jumbo, the 787 Dreamliner, the British Airways Concorde (SST – the last to fly in revenue service), B-17, B29, and B-47 bombers. The site has a convenient “air” bridge to get you there. This inclined walkway is defiantly a better way to reach the Pavilion, not to mention, listening to Frank Sinatra’s “Fly Me to the Moon” playing on the loudspeakers there topped the experience. As with all airplanes, pictures never do them justice but here are a few shots we took that should give you a better idea of the flight scene there are here. You can fly in on your own plane or in a commercial airline to Boeing Field or Sea-Tac, and if you have a child that likes aviation, you MUST take her or him to see the real planes. You might ask why is this trip worth the effort? The answer is simple: because they can climb in and touch and feel what aviation is all about… and it is about more than planes. It is about flying, it’s about education, and it’s about history… but it is also about fun! OmniAccess, a leading supplier of integrated communications solutions to super yachts and cruise-ships, and Panasonic Avionics Corporation (Panasonic), today unveiled a tailored XTS “extremely high throughput” satellite network for multiple mobility markets. Details on this new communications service are available to key customers that visit the OmniAccess booth at the Monaco Yacht Show. 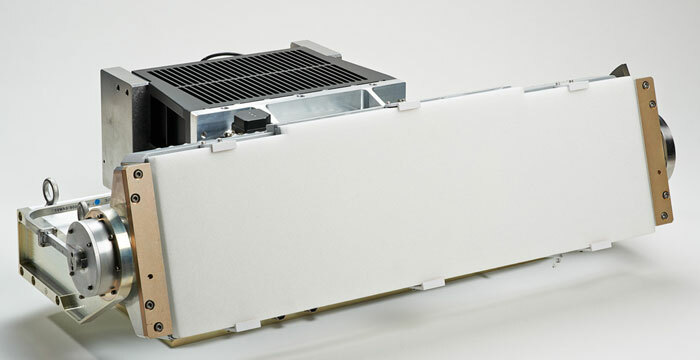 OmniAccess and Panasonic began collaborating on XTS high-throughput satellite designs in September 2015 in order to bring unprecedented levels of capacity and performance to OmniAcess’ existing Super yacht and cruise customers. Through this agreement OmniAccess has secured access to Panasonic’s existing HTS capacity, currently contracted capacity and the future XTS satellite network, bringing industry-leading capacity and performance to its yachting and cruise ship markets. Leveraging Panasonic’s existing global high-speed satellite network, OmniAccess is already providing industry-leading connection speeds of over 200 Mbps to select individual customers. APEX 2016 will see the very latest in connectivity, payment and power solutions from IFEC specialists IFPL, on Booth 1745 at the Singapore based show. IFPL leads the way when it comes to deploying contactless payment systems NFC (Near Field Communication) on-board aircraft, with global OEM’s and airlines using this technology for seat back in-flight retail and customer personalization. APEX 2016 will see IFPL demonstrate its new NFC ‘Pin-On-Screen’ solution that enables high value off line transactions by removing the current low value payment barrier. This step change will allow airlines to expand and sell high value items thus increasing ancillary revenues. With portable and wearable tech now widespread, visitors to APEX can also see IFPL’s USB- C and USB-A units, both providing hi-speed data and power. As always, innovation from IFPL will be on display with the company demonstrating its new integrated seat arm concept. This will reflect its ability to customize peripherals to support the design language, aesthetics and ergonomics required for true IFE and seat integration. IFPL will be demonstrating their ‘Charge-2-Charge’ solution for both inductive and USB charging – this will enable airlines to generate additional revenue from passengers wishing to charge their portable devices during flights. Demonstrations will also be available for their popular 110V A/C power outlet and its combination 110V and USB-A & C.
Solving the problem of broken headphone sockets are IFPL’s MagSignal Audio units. Cost neutral when compared with traditional sockets, MagSignal Technology allows the headset cable to be pulled and detached from any angle without detriment; reducing customer induced damage (CID) and maintenance disruption to aircraft. As always IFPL’s established range of IFEC products and solutions will be on display and the team from IFPL will be on hand to discuss any requirement that visitors to APEX 2016 in Singapore may have. Gogo recently announced that it will partner with Air France-KLM to connect its existing long-haul fleet representing 124 aircraft, with an airline option to install the technology on additional aircraft in the future. The fleet of aircraft receiving Gogo’s 2Ku technology will include numerous aircraft types, including the Boeing 777 and Airbus A330s. “We are delighted to bring Gogo’s industry leading 2Ku technology to one of the largest airlines in the world and two of the most iconic brands in commercial aviation,” said Michael Small, Gogo’s president and CEO. “2Ku delivers a ground-like performance to aircraft flying around the world today, including the ability to stream video. One of the many benefits of 2Ku is that it’s built on an open architecture and can leverage new technology advancements in the future, which means the technology will get even better over time and will provide passengers with a superior connectivity experience now and in the future.” The first aircraft is expected to be in service end of next year, with the bulk of the installations taking place during 2018-2019. The company also announced that it is developing its next generation ground-based technology to better serve the connectivity needs of business and commercial aviation in North America. This technology will offer a ground-like performance, including the ability to stream videos, for business aviation aircraft, commercial regional jets and select narrow-body aircraft operating within the United States and Canada. The new network will use unlicensed spectrum, a proprietary modem and a new beam-forming antenna to produce peak network speeds of more than 100 Mbps. This next generation ground-based network for the aero market will utilize LTE technology and leverage Gogo’s existing first generation North American network and infrastructure of more than 250 towers. The benefits of this new network for commercial aircraft operating within the United States and Canada include: low equipment cost and weight, overnight installation, and low drag on the aircraft due to the small size of the antennas. It also has big advantages in terms of latency compared to satellite solutions. Aircraft outfitted with one of Gogo’s earlier generation air-to-ground technologies will simply need to be outfitted with a new modem and blade antenna to take advantage of the new service. The service is expected to be available in 2018. Great article this morning. Separately, we have got big news this morning from Gogo as we announce our next generation ground network to support IFC in North America. We now have upgrade paths to more than 100 Mbps for both our North American ground-based and our global satellite networks. This will enable passengers to do everything they can do on the ground, in-flight. The network will use unlicensed spectrum and will require minimal updates for an aircraft. SmartSky Networks’ patented SmartSky 4G radio system completed the major milestone of receiving FCC certification, clearing the way for deployment of the ultra-fast SmartSky 4G air-to-ground network later this year, with nationwide service launching in mid-2017. Haynes Griffin, SmartSky Chairman and CEO, stated, “After investing tens of millions of dollars and over five years of research and development effort, SmartSky’s now certified technology has unlocked enough spectrum to be able to offer, for the first time, the reliable use of a sophisticated, custom-designed 4G system that can deliver an office-like internet experience in the air for both business aviation and commercial aviation customers.”FCC certification is the culmination of work to develop and patent protect the multiple bodies of technology that uniquely enable SmartSky to make use of the unlicensed 2.4 GHz spectrum band, all without causing harmful interference to or receiving interference from the operation of the same band on the ground. 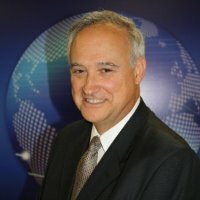 Despite the widespread assertion that aviation-related spectrum reuse in the unlicensed band would not be feasible, SmartSky has successfully solved the challenge by implementing new technical methods that are broadly covered by its robust and growing portfolio of 20 granted patents. Additional patents are pending. SmartSky’s technology and patent portfolio is not limited to the unlicensed band. Most of the patents apply to any frequency and any waveform in any high speed air-to-ground network. Because these are broad patents, SmartSky enables underlying technical advances to be incorporated into its conceptual solution. “Over time, this will allow SmartSky to keep pace with the latest advances in computing, antennas, radios and networking while still being protected by our foundational patents,” said Griffin. Continuing a relationship that has lasted over 70 years, the Federal Aviation Administration (FAA) has renewed its Aeronautical Mobile Communications Service (AMCS) agreement with Rockwell Collins. Under the agreement, the company will continue to provide Air Traffic Control (ATC) communications, including position reports, aircraft requests and ATC clearances, between the FAA and aircraft flying in U.S. oceanic airspace. Lastly, here is a Singapore treat from the nice folks at Uber, the transportation app company. It’s easy to use: In the app, choose your ride and set your location. Once you get matched, you’ll see your driver’s picture and vehicle details, at the same time, you can easily track their estimated time of arrival on the map. No phone calls to make, no pick-ups to schedule. With 24/7 availability, request a ride any time of day. Here is how you can get started: Download the Uber app and register for an account. You’ll have the option to input your credit card or opt for cash payment. To enjoy a $15 FREE ride, simply enter the code IFEXPRESS into the Promotions tab! Hurry – the code is valid until 31 October 2016. IFExpress: John, we assume you will be moving to the Chicago area… any expectations? Any trepidations? IFExpress: Regarding your new areas of responsibility (operations, quality control, commercial airline account management and commercial sales) which do you think will give you the most challenges and which the most enjoyment? J.W. : “The role in itself will present many challenges as well as enjoyment across all departments as we begin the journey of rolling out 2Ku to our airline partners. Making sure that deployment goes as smoothly as possible is a large part of my new role as COO. Over the years, I have discovered I have a natural love for optimizing operations within organizations and am really looking forward to leading those functions within Gogo’s commercial aviation business. For one of my challenges, I’d say learning to manage the folks in sales, as I used to be one myself. IFEXpress: From a bigger perspective, can you: A. give our readers the today view of Gogo, B. tomorrow’s view under your new leadership, and C. the product view of the next 5 years at Gogo. IFExpress: We understand that is some markets (biz jet? ), Gogo offers a text/data service (low speed), why is that not offered for a low cost solution for the many users who want minimum service on a commercial service airplane? J.W. : “We actually do have a messaging pass for commercial aviation (CA) passengers. For CA, this messaging application enables passengers to stay in touch with the ground with popular messaging applications including iMessage, WhatsApp, Viber, etc. If passengers are T-Mobile customers, they can also take advantage of free in-flight texting on all Gogo equipped flights. IFExpress: Can you tell our readers a little about how the business aviation market differs from the commercial airline market and do you envision entering other markets like military, etc.? J. W.: “If there is one major differentiator between BA and CA it’s in the size of the fuselage hence the antenna technologies which are applicable. With Gogo’s range of products for both BA and CA, Gogo is extremely well positioned to service both markets. Thales, a global leader in space, avionics, and connected inflight entertainment, announces two milestone agreements with SES, the world’s leading satellite operator. With these agreements, Thales will offer airlines and their passengers FlytLIVE, the most efficient inflight connectivity experience over the Americas. FlytLIVE by Thales will start operating mid 2017 using in-orbit satellites. Thales signed an agreement with SES for tailor made connectivity services over the Americas optimized for commercial aviation. With FlytLIVE, inflight connectivity solution, airlines will receive the best connection speeds for passengers and passenger entertainment using Ka-band HTS, they claim. Two currently in-orbit satellites comprise the initial network for the Americas; a third satellite provided by Thales Alenia Space – will be launched in 2020 to meet anticipated market growth over the Americas. The FAA says don’t turn on or charge your Samsung’s new Note 7 on an airplane! FAA Warns Airline Passengers Not To Use Samsung Smartphone The Wireless Week reported: “There have been dozens of aircraft fires caused by lithium batteries, so many that the batteries are no longer welcome as cargo on passenger flights. In one of the most recent incidents, a Fiji Airways Boeing 737 was preparing for takeoff from Melbourne, Australia, when smoke was discovered coming from the cargo bay. The plane was evacuated and the cargo unloaded. The source of the fire turned out to be lithium-ion batteries in a passenger’s checked bags. Hoverboards and e-cigarettes are banned from flights for the same reason.” Here is another article on the subject. If you get a new iPhone (7) but you have earphones with a jack… no worries on board. Just get a Lightening Dock… or, here are four other solutions 5 Ways To Use Headphones With iPhone 7 And iPhone 7 Plus | Redmond Pie and use those jacked earphones! France | May 31, 2016– On 31st May 2016, the world’s best-selling single-aisle aircraft, the A320neo, received on-schedule the Type Certification from the European Aviation Safety Agency (EASA) and Federal Aviation Administration (FAA) for the second engine option to be certified – CFM International’s* LEAP-1A engine. This certification paves the way for the delivery of the first A320neo equipped with this engine type in mid-2016. This award follows by six months the initial Certificate of Airworthiness received from the EASA and FAA for the A320neo, powered by the Pratt & Whitney engine option. The first A320neo was delivered on 20th January 2016. The two LEAP-powered aircraft assigned to the flight test campaign have now successfully accumulated over 1,000 flight hours in more than 350 flights – including 150 flight hours completed with the same aircraft in an airline-like environment to ensure operational maturity at entry into service. Certification of the remaining aircraft/engine variants with LEAP engines will follow in the coming months. When all flight testing has been completed, the NEO development fleet (with both engine options) will have achieved a combined total of 3,000 flight hours. The A320neo Family offers unbeatable fuel efficiency. Featuring latest engine technologies, Sharklet wing-tip devices and cabin innovations, the A320neo Family aircraft offers the lowest operating costs of any single-aisle aircraft delivering 15% fuel burn per seat reduction at entry into service in 2016, and a 20% reduction by 2020. Furthermore, everyone will benefit from the A320neo’s enhanced environmental credentials – which include a significant decrease in C02 emissions and a nearly 50 percent lower noise footprint. The A320neo Family offers airlines an engine choice between the Pratt & Whitney Pure Power PW1100G-JM and the CFM LEAP-1A engines. With one aircraft in three sizes (A319neo, A320neo, A321neo), the A320neo Family, seating from 100 to 240 passengers, allows operators to match the right aircraft size to demand and seamlessly covers the entire single-aisle segment on low to high-density domestic to longer range routes up to 4,000nm. Thanks to their widest cabin, all members of the A320neo Family offer unmatched comfort in all classes and Airbus’ 18-inch wide seats in economy as standard. Since its launch on 1st December 2010, the A320neo Family has received a tremendous market endorsement with more than 4,500 orders from over 82 customers, representing some 60 percent share of the market. EBACE, Geneva, Switzerland | May 25, 2016– The initial supplemental type certificate (STC) was received from the FAA allowing installation of the SD WiFi Hub on Citation CJ3 aircraft. Additional STCs are in progress for the Hub, the standalone router and wi-fi solution for small to mid-size aircraft and enhancement to the Satcom Direct Router (SDR) for larger aircraft. EBACE attendees can view product demonstrations at exhibit S115. Introduced worldwide during the Aircraft Electronics Association Convention 2016, the SD WiFi Hub packs big technology into a small, easily-installed package. More than a wireless access point, it is the gateway for all voice and data communications on the aircraft. At 1.6 pounds, the Hub has the smallest and lightest router form factor in aviation. East Aurora, NY | April 5, 2016– Astronics Corporation (NASDAQ: ATRO), a leading provider of advanced technologies for the global aerospace, defense, consumer electronics and semiconductor industries, today announced its collaboration with AirPac Enterprises (“AirPac”) and CIT Aerospace (“CIT”) in the deployment of SmartTray® tables onboard InterJet, the first commercial passenger Mexican airline to fly with SmartTray® onboard its Airbus 320 aircraft. AirPac is a leading provider of aircraft seating services and a FAA and EASA certified repair station. CIT Aerospace is a global leader in aircraft financing services. SmartTray® tables feature an integrated, proprietary expandable groove mechanism that automatically expands and retracts to the thickness of Passenger Electronic Devices (PEDs) and smartphones. This configuration allows passengers to use their electronic devices inflight hands- free while freeing up much needed tray table space for other items and providing a significant improvement in comfort and convenience over conventional aircraft tray tables. Lisa Rajic, President and Chief Executive Officer of AirPac said, “We’re very excited to collaborate with Astronics in deployment of the SmartTray®. As a leader in aircraft seating services, AirPac appreciates Astronics’ innovative power and entertainment solutions that dovetail nicely with our shared commitment to passenger comfort and an exceptional inflight experience. We both see SmartTray® as a sizable opportunity for us to work together. Airlines routinely replace tray tables, so why not provide a better traveler experience in the process?” added Lisa. Germany | February 26, 2016– 328 Design GmbH (328DO), part of the 328 Group, the Germany-based refurbishment, completions and aircraft maintenance specialist, has successfully achieved the first Supplemental Type Certificate (STC) for the Dassault Falcon 50EX from the US FAA under the FAA/EASA bilateral safety agreement. The STC covers extensive cabin refurbishment including the replacement of the legacy Cabin Management System/In-flight Entertainment (CMS/IFE) with Honeywell Ovation Select state-of-the-art Audio/HD Video Entertainment and CMS including T-PED (Transmitting Portable Electronic Device) connectivity via Wi-Fi. Additional features include a complete cabin refurbishment, replacing all hard and soft materials, the installation of new LED cabin lighting and galley modification. The project was achieved in collaboration with USA-based Duncan Aviation at the company’s full service facility in Battle Creek, Michigan. This latest STC marks 328DO’s 21st collaboration with Duncan Aviation in the four years the companies have been working together. The validation process posed a number of challenges as the project has been classified as a non-standard STC. However, following extensive collaboration and support from both EASA and the FAA, 328 Design GmbH was able to overcome the difficulties. The awarding of the STC follows a significant track record of success in certification achievements for 328DO, who have to date amassed STCs and minor mods approvals on various aircraft types. 328DO has collaborated with Duncan Aviation on EASA STC approvals for aircraft including the Bombardier Challenger Series, Global Express, Dassault Falcon 900EX and 2000 as well as 7X and Citation 560XL. Offers customers a “Total Aircraft Modification Solution” for both FAA and EASA certification! Shanghai, China | February 2016– Global Aerospace Design Corp. (Global) is pleased to announce a partnership with Shanghai HaoTong Aviation Engineering Co., Ltd. (SHAE). Global recently signed an agreement with SHAE to form the very first European Aviation Safety Agency (EASA) Design Organization in China. As part of this agreement Global will be providing Federal Aviation Administration (FAA) certification services to SHAE in support of projects that do not fall under their EASA Design Organization Approval (DOA). This partnership will provide customers with a total aircraft modification solution for both FAA and EASA certification along with the modification capabilities available at multiple facilities throughout China. Combining the SHAE and Global organizations grows and enhances the services provided throughout the world. From aircraft leasing to complete cabin interior upgrades, both SHAE and Global can now offer customers a high quality solution to their operational needs. Munich, Germany | February 19, 2016– 328 Design GmbH (328DO), part of the 328 Group, the Germany-based refurbishment, completions and aircraft maintenance specialist, has successfully achieved the first Supplemental Type Certificate (STC) for the Dassault Falcon 50EX from the US FAA under the FAA/EASA bilateral safety agreement. The STC covers extensive cabin refurbishment including the replacement of the legacy Cabin Management System/In-flight Entertainment (CMS/IFE) with Rockwell Collins’ Fusion state-of-the-art CMS/IFE including T-PED (Transmitting Portable Electronic Device) connectivity via Wi-Fi. Additional features include a complete cabin refurbishment, replacing all hard and soft materials, the installation of new LED cabin lighting and galley modification. Today in IFExpress we feature an interview with Mark Thompson whose company, Thompson Aerospace (TA), has rolled out a new product, and we note, it is not IFE related, but rather, it focuses on the “C” or connectivity part of our aviation interest. The product is the Secure Global Aircraft Tracking Unit (SGATU), a fully compliant tracking solution for commercial aircraft. As the release notes: “Thompson Aerospace created the Secure Global Aircraft Tracking Unit to provide the economic benefits achieved by real-time information and to meet the pending rules. The solution does not rely on any aircraft system to provide location, speed, altitude, attitude (pitch, yaw, and roll), vertical velocity, and cabin pressure. This truly remarkable product uses less than 2 watts under normal operation, and can be augmented with TrueBluePower battery technology, that will allow up to 14 hours of operation in flight in the event of total power loss.” You can find the news release here. Q: Mark, to start off, our readers think of TA as an IFEC company based on products seen at tradeshows. This data effort seems new; perhaps you can explain your company’s new efforts and paint a picture of where you are going to be in the years to come? ANS: Our first project was on B1 program for secure data management using IP networks, our second project was an in-seat power product that we worked on with some large airlines and an OEM. So while our first announced program was our interactive in-seat IFE product, we had developed a lot of technology using our patented technology. We have always been a company focused on low cost, high reliable IP based networks, and as an IFE system is the largest consumer of data on an aircraft, our technology worked very well. Due to our inability to secure a large customer base, we went back to focus on secure IP network technology and redesigned our network to be in compliance with RTCA new standards, DO-326, 355, 356, and FIPS 140-2. We view making an aircraft a secure node on a private network to be the best economical solution for airlines. Once this is done, it opens up possibilities in many areas for increased revenues from passengers to reduce operational costs for airlines. Q: Can you tell us a bit more about your new product? Q: You note the new EASA requirements in your news release, can you quickly describe them? 1. The Aircraft has to report its position. 2. The Aircraft has to report alerts. 3. The Aircraft System has to be able to operate without aircraft power for the whole duration of the flight. If you can’t do this, you are not compliant (and I see no other compliant system on the market today). We meet all the existing EASA rules, plus the recommendations from ICAO. It is important to understand that the EASA first rule is not fully compliant with the ICAO recommendation and we expect more rules to follow. The other items are just different types of data that the airlines either do today or are things they could do if they purchased very expensive equipment. Q: Was security an issue in the EASA requirements and is data speed (rate) and/or cost an issue? Q: Mark, is there a value proposition in the data transmission or the security thereof? Q: Perhaps you can provide our readers with a bit more information about your security product(s) as noted in your SATM news release? Q: What Thompson Aerospace product STC’s in this product line exist today? What is involved in a kit for this product? Q: When will the service be available? For more information contact Mark Thompson. France | November 24, 2015– The world’s best-selling single aisle aircraft, the A320neo, has received joint Type Certification from the European Aviation Safety Agency (EASA) and the Federal Aviation Administration (FAA) on 24th November 2015. The certified aircraft is powered by Pratt & Whitney Pure Power PW1100G-JM engines. The EASA A320neo type Certificate was signed by EASA’s Certification Director Trevor Woods and the FAA A320neo Type Certificate by Jeffrey Duven, FAA Manager of Transport Airplane Directorate – Aircraft Certification Service. The Type Certificates were handed over to Airbus’ Executive Vice President Engineering, Charles Champion and Airbus A320neo Chief Engineer Pierre-Henri Brousse. The A320neo successfully completed a rigorous programme of certification which tested its airframe and systems well beyond their design limits to ensure the aircraft successfully met all airworthiness criteria. The three flight test aircraft powered by Pratt & Whitney engines successfully accumulated over 1,070 flight hours in some 350 flights. Of these 1,070 flight test hours, 300 were completed with the same aircraft in an airline like environment to ensure operational maturity at entry into service. The A320neo with Pratt & Whitney engines is the first variant in the NEO Family to receive Type Certification. The A320neo with CFM engines will be certified in the coming months, the A321neo and A319neo in both engines variants will follow. The A320neo Family incorporates latest technologies including new generation engines and Sharklet wing tip devices, which together deliver more than 15 percent in fuel savings from day one and 20 percent by 2020 with further cabin innovations. Launched on 1st December 2010, the A320neo offers airlines an engine choice between the Pratt & Whitney Pure Power PW1100G-JM and the CFM International LEAP 1A engines. With more than 4,300 orders received from over 75 customers since its launch in 2010, the A320neo Family has captured some 60 percent share of the market. New York, NY | May 1, 2014/Marketwired/– JetBlue Airways (NASDAQ: JBLU) today announced that LiveTV received a supplemental type certificate (STC) and Parts Manufacturing Authorization (PMA) from the Federal Aviation Administration (FAA), necessary steps in the process of having high-speed Wi-Fi and LiveTV’s next generation inflight entertainment system installed on its new fleet of Airbus 321 all-core aircraft. The new LiveTV system, LiveTV 4.0, and JetBlue’s inflight Wi-Fi product, Fly-FiTM, will provide customers with a significantly enriched experience. The Live TV 4.0 system has a larger screen (10.1 inches for the core experience and 15.6 inches for the Mint experience), and additional content options. Through JetBlue’s partnership with DirecTV, customers will have access to more than 100 channels of live television with optional closed-captioning, a new TV guide that displays current and upcoming program information, and two additional JetBlue Features, totaling eight features each available with English and Spanish audio tracks. Additionally, JetBlue’s SiriusXM satellite radio offering will have an improved home screen where all programming information will be displayed on one screen. JetBlue also launched Fly-Fi last December on its Airbus 320 fleet, and currently operates 37 Fly-Fi enabled aircraft. The airline is up to 10 A320 Fly-Fi installations per month and is targeting to have its entire Airbus320 fleet complete by the end of 2014. JetBlue is known for its free innovative and industry-leading inflight entertainment since the airline took flight in 2000, and with a refreshed core product, true broadband Wi-Fi in the sky and an upgraded entertainment system on larger screens, that innovation will continue. The airline now has one A321 aircraft with LiveTV 4.0 and Fly-Fi installed which re-entered service on April 28, 2014. The remaining three A321 aircraft will undergo LiveTV 4.0 and Fly-Fi installation throughout the spring, with all four A321 core only aircraft expected to be in service with LiveTV 4 and Fly-Fi installed by the end of June. End O’ the Year Clean-up! As you can well imagine, the IFExpress offices has been awash with discussions about the state of inflight telephony affairs in the US and yes, we have tested some thoughts on PR types in our industry… those who are connected to companies that stand to benefit financially from the calling possibilities and those who are not. Basically, the division about the applicability of inflight cell usage in the US is where you would expect it – those who benefit like the idea and those who don’t – don’t. If they don’t benefit they tend to take the stance: “Flying is bad enough today, why make it worse?” Or, they don’t care. The answer is probably somewhere in between. Airlines should surely do a test to see if the perceived issue is real, and note, that if the test is public there will be a lot of press attention. Asking for constructive solutions such as, passenger cell phone seating, may have value. Feedback is the key to this no-win situation. If you add “one more issue” to an uncomfortable situation you will not win; however, what about adding a good one at the same time? Some ideas are: paying all passengers on a flight that has cell telephony by reducing charges elsewhere (baggage, free drinks, etc.) after all this is the US and money talks; publishing any good experiences (if there are any) during a testing situation; how about seating cell talkers on one side or possibly in a ‘worse’ seating location on the aircraft (Yes, that is the price one must pay). If money is a US driver, how about making the usage price high enough to discourage long talking (this one won’t be popular with the service providers) or at least to minimize the “Guess where I am calls”. Has anyone proposed a plan to suggest the type of equipment passengers could use to minimize the impact of travelers using their cell phones inflight, such as noise canceling headphones and headset/earphone(s) with built in microphones? While this may be impractical now there may be an eventual hardware solution. We seem to remember international planes equipped with older IFE handsets that had the satellite phone hardware at the seat built into a game controller – those devices and their attendant social issues never seem to have surfaced. While upper classes (Business & First) may be a good place to start cell voice implementation because of the passenger interspatial distance; the class/price perception may not permit it. At the same time, a cell phone usage permission only in coach may be considered a penalty for a lower priced ticket, which leads us to believe the following: A.) The airlines have to give up something to accommodate cell phone usage on flights like baggage fees or ticket price (Then why have it, you might correctly ask? ), B.) There needs to be a way to accommodate the need to talk on the phone in the air BUT there also needs to be a way to prevent the mis-users from further degrading the flying experience, C.) If cell usage is permitted in the United States an aggressive public relations campaign will be mandatory, emphasizing positive scenarios where cell phone usage has benefited those onboard (think life saving advice from the ground) or a positive feedback has been received from travelers who have needed the service en route and communicated that message to the airline (in writing). One thing is for certain; if voice calls are allowed the service will most assuredly experience some extreme growing pains on this continent. Lastly, since there is legislation afoot in the US to prohibit in-flight calling, we will all have to see if cooler heads prevail but until then, keep texting because you can! If you are going to CES in Las Vegas (Jan. 7 – 10, 2014) you don’t want to miss the panel discussion on January 9, 2014, 10-11 a.m. LVCC, North Hall N254 entitled “Change is in the Air: New Policies for Using Consumer Electronics on Airplanes” an APEX/CES partnership event. Here is the description: Following an advisory committee’s report, the Federal Aviation Administration (FAA) has determined that airlines can safely expand the use of portable electronic devices during all phases of flight. How has this decision been implemented and what should passengers expect when they travel this year? Does this new policy create new market opportunities for CE companies? How are various stakeholder groups, including policymakers, responding? Is this a catch-up policy for the United States or a new example for other regions to follow? Fasten your seatbelts and join this session to hear the latest on this popular topic.” Panelists include: Bill de Groh, Chairman, Aircraft Design and Operations Group, Air Line Pilots Association, International Kirk Thornburg, Managing Director, Engineering, Quality, Technology & Training, Delta Air Lines, Julius Knapp, Chief of Office of Engineering and Technology, FCC, Ian Dawkins, CEO, OnAir, Timothy Shaver, Branch Manager, Avionics Maintenance Branch, Federal Aviation Administration, Chuck Cook, Manager, Fleet Programs and Technology, JetBlue Airways. And you can bet there will be a push for in-flight telephony but we suspect if they open the floor for comments/questions there will be some very divided opinions on the topic! According to MSNBC, the TSA is going to increase your US trip by $5.60 next year. Meaningless travel caresses now have a price! In case you were wondering about historic IFE, you might want to bet your drinking partners when the first in-flight movie was shown – It was in 1925 during a London/Paris flight on Imperial Airways. The Guinness record book claims that it starred Wallace Beery (apropos last name) and was silent… the movie, not the flight! You probably have the Google Search app on your iPad or iPhone or Android device because it just works… very well. The search now contains Google Now and if you opt in (It’s on the opening page of Google Search – just swipe up) your will find that the Google folks have integrated the search capability into your life with notifications, flight information and reminders, arrival notifications, location oriented restaurants, theaters (and whatever), not to mention event items that you searched for but might have forgotten. It’s like the smart friend you never had in school because they weren’t cool! Lastly, if you forgot to get some Christmas cards, this one is interactive. Send if you choose, but if you are not a fan of “cute” you might want to skip this one! Ahead of today’s FCC meeting, OnAir supports the FCC’s proposal to revise outdated rules by allowing airlines to permit passenger use of cell phones services during flights. It paves the way for U.S. passengers to have the same inflight connectivity choices as passengers everywhere else in the world. Passengers typically use Mobile OnAir, OnAir’s inflight cell phone service, for data – largely email – to update Facebook and Twitter, and for text messaging. Voice calls, which cost around $3-$4 per minute, account for slightly over 10% of total inflight usage and the average call length is under two minutes. “Based on the factual evidence of six years of inflight cell phone usage around the world, I can be absolutely clear that there is nothing to fear from the use of cell phones during flights,” said Dawkins. Mobile OnAir has flown with more than 25 airlines on hundreds of thousands of flights across the world since 2007, with the full backing of over 100 national authorities. OnAir’s airline customers include world-leading global airlines such as Aeroflot, British Airways, Emirates, Philippine Airlines, Qatar Airways and Singapore Airlines. Mobile OnAir is currently on around 16,000 flights a month and 380,000 passengers connect to OnAir each month. Positive action by the FCC would clear the technical telecoms hurdles to give airlines the option of installing cellular inflight connectivity systems. Airlines would decide whether to offer voice services, along with email, data, and text; they are in control of what services they offer their passengers. For the first time, U.S. airlines would be able to offer cellular services, as their international competitors have been doing for six years. 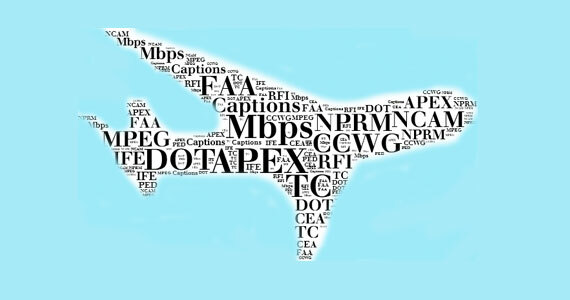 The Closed Caption Working Group (CCWG) of the APEX Technology Committee will have until 25 August 2014 to issue its final comments to the U.S. Department of Transportation (DOT) on that agency’s Notice of Proposed Rule Making (NPRM) requiring the use of closed captions on inflight video, according to announcements made at the APEX Technology Conference held in Newport Beach, California, on 19-20 November by CCWG chair Jonathan Norris and APEX TC chair Michael Childers. This was one of a wide range of topics covered by the Technology Committee at its annual fall conference. Additional topics included a keynote address by Doug Johnson, VP technology of the Consumer Electronics Association (CEA); a final report from the APEX representatives to the Federal Aviation Administration’s (FAA’s) Portable Electronic Device (PED) Aviation Rulemaking Committee (ARC); a Seat and IFE Integration Workshop; a DO-307 Tutorial on Front Door and Back Door PED Emission Testing; a report on the Entertainment Identifier Registry Association (EIDR) by the Metadata Working Group; an update by the HD Working Group on APEX 0403 1080p standardization; a report on off-aircraft and inflight connectivity; an update from the ARINC Cabin Systems Subcommittee; and a report on how social media is helping to shape Southwest’s inflight Wi-Fi strategy. The APEX Closed Caption Working Group (CCWG) is working with the U.S. Department of Transportation (DOT) to represent the IFE industry’s issues as the DOT decides on the scope of the requirements, and the technologies that might be codified by the agency, CCWG chair Jonathan Norris, and APEX TC chair and APEX board member Michael Childers told IFExpress. The DOT’s original NPRM requiring closed captions on all videos on aircraft flying in and out of the U.S. was issued in 2006, but was tabled in early 2009 after the DOT and APEX (then WAEA) reviewed the state of closed caption technology as of that time. Referring to the reports of APEX, IATA, and the National Center for Accessible Media (NCAM), DOT concluded that closed caption technology circa 2006-2009 could not be implemented practically in IFE. However, citing a timeline provided to the agency by APEX in 2006, DOT followed up for the maturation of these technologies with the result that the NPRM has been re-issued and APEX has once again engaged with DOT. The biggest difference between the state of closed captioning in 2006 versus today, according to Norris and Childers, is that new IFE installations today are based on MPEG-4 platforms that support Timed Text captions versus the MPEG-1/2 platforms of a decade ago that began supporting bitmap (“rendered image”) captions around 2007. Among the issues, according to the CCWG report, is that while most of today’s IFE installations are MPEG-4, there are still more MPEG-1/2 files delivered today in IFE because of the preponderance of legacy systems. Therefore the CCWG will seek to ensure that the current APEX 0403 bitmap closed captioning standard is at least grandfathered, while Timed Text may also be included. Since closed captions are more plentiful in North America than in certain other regions, the CCWG is considering a proposal that allows for closed captions to be required on an agreed percentage of content—particularly on non-US carriers—rather than on all content. Certain kinds of short content—like ads and movie trailers—are generally not closed captioned in other markets, so the CCWG will seek a category of content to be excluded from the rule. The definition of captioning is the conversion of audio dialogue into text dialogue in the same language, plus descriptions of certain non-dialogue sounds. The CCWG will seek clarification that there is not an expectation that non-English languages be converted to English. Just prior to the TC Conference, the DOT confirmed to the TC that it has changed its NPRM Publication Date to 26 June 2014 and the end of the comment period to 25 August 2014. This will allow the WG more time to prepare its recommendations and to further engage with DOT. In a report from the High Definition Working Group (HDWG), Bryan Rusenko, formerly of Technicolor, announced that additional work was needed to reach consensus on a security solution for 1080p, with the result that this modification to APEX 0403 was not voted on during the TC Conference. Rusenko, and HDWG co-chair Pierre Schuberth of Thales, will attempt to find consensus by the May TC Conference. 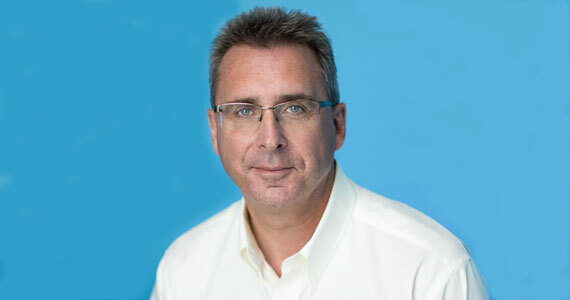 In his keynote address to the TC Conference, CEA VP Technology, Doug Johnson, said that CEA predicts that the percentage of adults buying technology gifts during the 2013 holiday season will be 64 percent, the highest ever and up from 62 percent in 2012. As recently as 2010 his number was just 49 percent. He also said that the number of mobile devices purchased in this category will continue to grow, and that 50 percent of consumers will use a mobile device to help them shop for tech this year. Johnson also said that the hottest trends at the 2014 CES in January will be wireless & wireless devices, integrated home/connected home technologies, and lifestyle electronics. He also explained that any electronic device can have RF emissions (these are not due to intentional transmitters), and that they can affect sensitive aircraft radio receivers through their antennas. This is called “front-door coupling.” DO-307 defines minimum (or Target) Interference Path loss between PEDs and the aircraft antenna connector at the radio receiver. Aircraft that demonstrate Target Interference Path Loss (Target IPL) have tolerance to PED front-door interference. As for “back door interference,” Martin explained that a tabulation of all equipment and qualification D0-160 Categories or HIRF Certification can be reviewed and maintained. This listing can be used to compare with other installations and be used to approve the equipment to backdoor tolerance. Angelo Vargo, Manager Product Development, at Southwest Airlines, used the occasion to announce that Southwest has begun permitting the use of PEDs from gate-to-gate. Southwest currently has 440 Wi-Fi-enabled aircraft via Row 44, consisting of 75 percent of its fleet. Over 2 million passengers visit the Southwest portal each month to use Wi-Fi, live TV, VOD and messaging. Thats the Spirit! “I’ve made friends at airports because I carry with me a cheap $4 extension cord with multiple outlets (5). I can plug it into one of those charging stations and power up my own laptop and then share the rest of the outlets with other travelers. Makes for interesting conversations at times. Best $4 Home Depot investment I have made to date.” – Ken Lew, Thales.